The recognised authority on agency, media and marketing information. 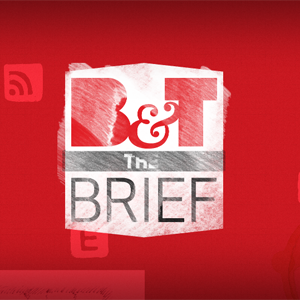 B&T continues to innovate and provide platforms for advertisers to communicate with its highly influential audience. The flagship of the brand, B&T is Australia’s leading title for the marketing, advertising and media industry. Readers turn to B&T magazine for analysis behind the headlines and to benefit from the insight, research and features. Delivering breaking news to more than 20,000 opt-in email addresses every afternoon. B&T Today easily outperforms its competitors in reach and influence with an industry leading open rate of 67%. The B&T website is the hub of our digital offering, generating in excess of 250,000 page impressions per month from more than 75,000 unique users. The site provides streaming TVCs, the B&T blog and a searchable database of more than 50,000 articles. The B&T Awards recognise excellence in all areas of the advertising, marketing, media and communications world. Sponsorship opportunities are available for brands to get face-to-face with more than 600 of the industry’s best and brightest at the industry’s most transparent awards programme. B&T Digital Bootcamp is a touring digital media workshop designed to assist marketers and media buyers in this rapidly evolving channel. Sponsorship is open to organisations wishing to align themselves with these highly regarded events and key fields within the digital space. The official magazine of the Australian Marketing Institute (AMI). Professional Marketing fosters a community of professional marketers through shared intelligence. Published quarterly and distributed all members of the AMI, Professional Marketing reaches over 5,000 marketing decision makers. This regularly updated online resource contains more than 6,500 contact listings to cover all the needs of the marketing, advertising, media and PR industry. The B&T jobs board is one of the industry’s most popular sources for jobs listings in the media, marketing, advertising and PR sectors. B&T Jobs are listed to gain more qualified targeted applications and more suitable account management, account director, advertising, marketing, sales and PR opportunities for the passive and active job seeker. B&T Jobs is a cost effective method to target educated industry professionals from local qualified job seekers. B&T Jobs ads stay live for 28 days and get included in the B&T Today newsletter.